Small business billing software helps to manage multiple companies accounting records including goods purchased, sold, tax types, customer details, account information, bookkeeping etc. Financial accounting tool provides database connectivity facility to have data access through LAN network. Inventory management program allows only administrator to freeze date setting in order to prevent unauthorized users to change/delete account information. 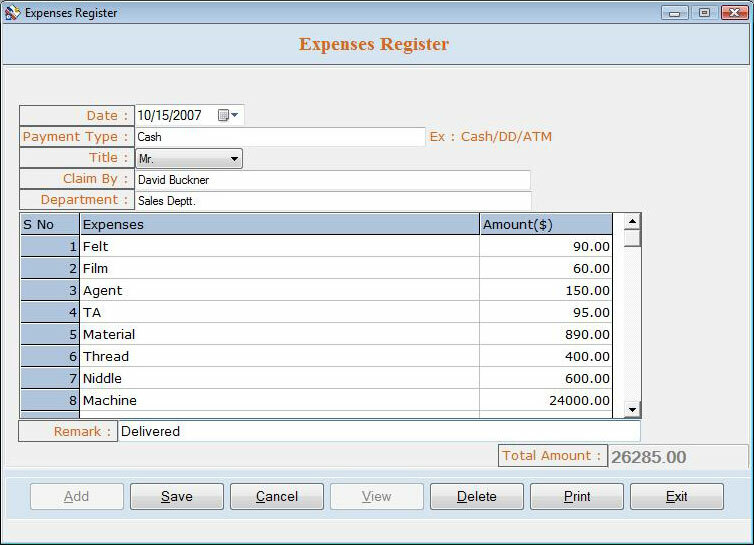 Qweas is providing links to Small Business Billing Software 3.0.1.5 as a courtesy, and makes no representations regarding Small Business Billing Software or any other applications or any information related thereto. Any questions, complaints or claims regarding this application Small Business Billing Software 3.0.1.5 must be directed to the appropriate software vendor. You may click the publisher link of Small Business Billing Software on the top of this page to get more details about the vendor.